The Secret of Magic opens with a tale that immediately draws you in and keeps you on the edge of your seat. Joe Howard, beloved and devoted son of Willie, Willie, is heading home to Mississippi after completing his WWII service in Italy in 1945. He is taking a bus to Revere and calls his father, as promised, when the bus makes a stop. Already taking a different route home, the confusion continues when a white police officer demands that he and all the other blacks give up their seats and get off the bus to make room for German POWs. Joe Howard is returning home a highly decorated soldier, and therefore refuses to give up his seat for the men he fought against. Two weeks later, his body washes up on the banks of the Mississippi River. Regina Robichard is a young lawyer working for Thurgood Marshall in New York. When she opens a very intriguing letter requesting an investigation into the death of Joe Howard, her interest is quite piqued. The author of the letter is written by the M.P. Calhoun. Well, Calhoun had written a book called The Secret of Magic which was a story Regina loved dearly as a child. The book was about black and white children playing together in a magical and mysterious forest. She convinces Thurgood she needs to be the person to go down south to investigate, in great part because of her eagerness to meet the reclusive M.P. Calhoun. M.P. Calhoun’s interest in this case is due to the close relationship with Joe Howard’s father, Willie Willie – he has been a long time servant to the Calhoun’s. Regina’s first shock is that M.P. actually stands for Mary Pickett, therefore stunning her with the realization that the author of “The Secret of Magic” is a woman. The second realization is how much of the residents of Revere resemble many of the characters in the story of “The Secret of Magic”. Also, once down in Mississippi, Regina finds that nothing in the South is as it seems. Her impressions of race relations is vastly different and challenged here in Revere and she finds herself navigating the complexities of racism, relationships, and her own tragic past. 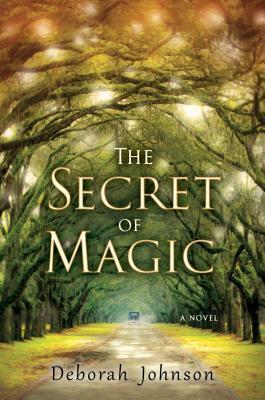 Throughout Regina’s time in Revere, Johnson interweaves the book “The Secret of Magic” written by M. P. Calhoun. As the story progresses, Regina loses the impartiality needed to bring this case to justice. It also becomes mired in Regina’s personal tale and as more of the book, The Secret of Magic is weaved into the story of investigating Joe Howard’s death, the more the overall story starts to drag. I feel that Shelleyrae at Book’d Out provided a succinct review on Goodreads of The Secret of Magic and further touches upon many of the points I wished to express here. The Secret of Magic does open with great power, energy and suspense, but ebbs and slows in the middle. The characters as well are indeed wonderfully drawn and the ending fully redeems itself with a very powerful close, one that is quite satisfying. What also adds to its impact is the Author’s Note explaining the actual people this story was based upon and the author’s personal reasons for writing this story. I included Willie Willie’s quote at the top of this post as I think it brings attention to the message that Johnson is expressing in The Secret of Magic – that of the relationships between black and white at that time. These relationships were ones that Regina has difficulty understanding. While Mary Pickett claims to wish to further investigate Joe Howard’s death, all because of her love and respect for Willie Willie, it becomes quite obvious everyone already knows who killed Joe Howard, and why. There will never be a case opened for his death, it will not be re-tried. Case is closed. Bottom line, as fond as Mary Pickett is of Willie Willie and Joe Howard, and how deep and far back their history goes Joe Howard forgot his place. He spoke out of turn, forgot his place and felt himself superior to his white “owners”. As fond as Mary Pickett spoke of Willie Willie, she still referred to him as “hers”, something that Regina could not overcome hold her in the regard she previously held her in. Regina was saddened to realize so much had really not changed, nor would it ever. The Secret of Magic was a great story, important and powerfully told and while it slowed some in the middle, did end with a strong and satisfying finish. 4 stars, it was an excellent read.